Prudential is putting a concerted effort behind connecting with Millennials to understand their sentiments on financial wellness and their expectations of what the future will bring in order to identify how best to serve them. Millennials continue to face a variety of challenges that could impact their overall financial well-being, including rising costs of debt, uncertainty about retirement, lack of comprehensive employer-sponsored benefit packages. At the same time, this generation is energizing the American economy, leading the charge on many of the notable technological advancements in recent history, according to Prudential. The financial services company recently joined with Kantar Consulting to commission the “80-Year-Old Millennial” study. It focuses on Millennials’ feelings about workplace trends, economic opportunity, technological advances and maintaining health. To launch the findings of this data, Prudential, in partnership with the Young Entrepreneur Council, developed an on-site activation at SXSW. Additionally, the company developed an ongoing interactive aptitude test that will determine participants’ persona (i.e., Futurist, Trailblazer, Contrarian). Millennials are slowly finding their economic footing, but are uncertain of future progress, Prudential finds. They don’t share the confidence of Baby Boomers and Gen Xers, who believed they’d be financially better off than their parents. Nearly nine in 10 Millennials (88%) say people now in their 20s and 30s will need to work much longer than previous generations did to retire with the same level of financial security. Even if they do work for a longer period, 79% believe that by the time they reach 80 years old, comfortable retirement will be a thing of the past. At least 70% say that’s because it’s impossible to save as much money each year as prescribed by current retirement planning tools. The study combined expert interviews, a moderated online bulletin board and a quantitative survey of more than 1,000 Millennials to learn how the largest generation in the U.S. workforce today envisions progress over the next 50 years. Millennials are entering the next phase in their lives and increasingly focused on career and family. They are planning a financial future in an economy that has rebounded from the Great Recession—but see a world that feels more volatile, uncertain and complex than ever before. 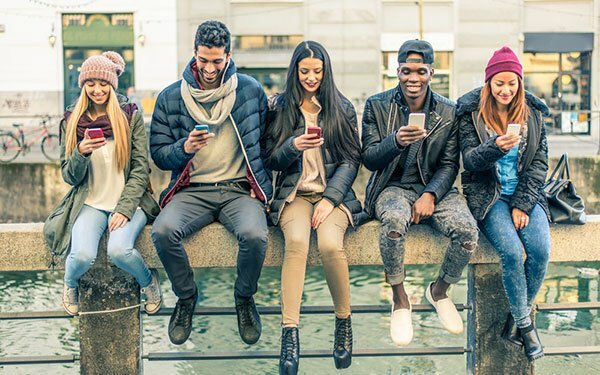 Most Millennials (63%) reported being extremely/somewhat nervous that they are heading in a direction in which wealth will be calculated based on one’s personal data, digital possessions, and other forms of value—not just money and “traditional investments.” And 71% say it’s likely that the next generation will live in a world without cash. As Millennials age, they carry with them the “tech first” mentality to solving life’s problems both big and small. Having benefited from a proliferation of technology solutions—from apps to websites to wearables—Millennials expect the world to continue making life easier and more connected.